This event is officially over !! With that all being said! Let the event begin! Everyone have fun! MYO Event! [Not mine] Go check it out! It's a really good lookin' species! Tried to keep it simple >3< Hope he's fitting! make sure to them added to the masterlist! Jellion MYO EventCheck out this wonderful reopening event for an adorable species ! Be sure to get her registered on the masterlist! Should I note the masterlist again? Too good not toI have never wanted to partake in a species so badly before now. Goodness gracious LOOK AT THESE, THEY ARE SO ADORABLE!!!!! EYYYYY GUYS ! 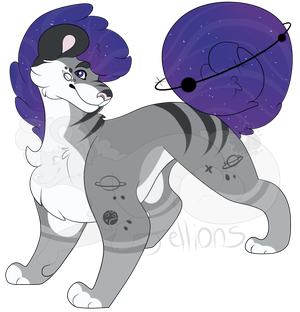 JELLIONS ARE COOL AFSooooooo I probably have a problem with adopting too many closed species pets but whatever they are usually super duper cute. Jellions are no exception this time lol. With my luck I found out that there is a MYO Event going on! The journal with the specific info for the event can be found here : Grand re-opening MYO event! 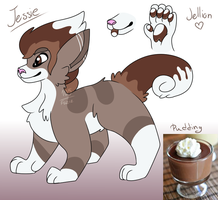 Here's my Jellion MYO and journal! Check out this awesome species! theyre having a MYO contest for the species grand reopening! 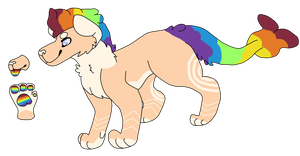 There's still one gold ticket left to get a rare MYO slot so hurry while you can! theres still one more golden ticket to find !!! JELLION MYO!!! LOOK AT THIS MEGA HECKA SPECIES!! Make sure to get the bean registered on the masterlist! I have quick question, i'm not fond of his marks anymore am I allowed to just go back and change the markings on he's body? You now have access to rare traits! Bloomsday prompt event 2018 Winners !For this event it went a lot better then expected ! I am a bit disappointed at the lack of entries, but some is better then none ! Me, Luna, and Cupid took the time to look at each piece and find pros and cons of each drawing, which we will include under the winners entries ! So now is time to announce the winners ! We all agreed that the best parts of this drawing was the absolute amount of detail put into the drawing, the background has plenty of clutter to the point of making it readable without pushing the limit ! The one thing we all noticed that could be worked on is applying the character to the scene and making it fit. In the piece the character feels mostly slapped in there rather then being seen as belonging in the scene. The best way to fix this is to apply shading and or lighting to the character to give it a more applied feel ! Ticket BankThe ticket bank is where you need to get any tickets you receive from any any sort of events recorded so you can use them to buy/obtain items from the shop! You can request to have any info regarding your record updated, adding funds, adding items, and even transferring. As well as updating username in case you move accounts! - Your info on the account MUST be updated and added for you to purchase things ! - Any items you get must also be recorded in the bank for you to use them ! Bi-Weekly prompt Event - Bloomsday (CLOSED)Welcome everyone to the first Bi-weekly prompt event for Jellions ! The Bi-weekly event are special events that are held through out the months, an even will be started and last for 2 weeks, then once over, we will have a grace week before starting the next ! Each event will have 3 prompts for you to choose from and requirements for what you must do in the drawing for it to be counted! In these events, you can win MYO's, Tickets, and sometimes customs/surprise Jellions/gons for participation ! However, there are rules to these events that you need to learn! - You can only enter ONCE with ONE prompt, however if you wish to do more then one of the prompts, you may, but you can only enter 1 of the drawings you made for the event ! - You aren't obligated to participate, this is purely just for fun ! - If you win tickets, be sure to get them logged in the official ticket bank, you can find the journal to it below ! If you have any other questions, please ask below! Jellion official Discord is live! Come join and chill and have fun!! Jellion's have always been loyal and proud creatures. After years of decision making, Jellions had finally decided to live in a Monarch ruled society with a royal family that controls and makes sure their people live happily and safely. However, they don't run it in a traditional way, like in a presidency, if the people feel a ruler may be to ruthless or scary, they can vote to dethrone the current ruler as long as the current ruler has a family member to take the throne, whether it be a cousin, sibling, old enough child, or even a removed heir, the eldest and whoever has the right will take the throne. The only time a Jellion will be chosen to rule outside of the royal family, is if the current ruler has no relatives that can take over, but that Jellion will only rule till the royal family can provide someone to take the throne up again. So, theres a couple of important matters! Jellion -TOS-Welcome to the TOS (Terms of Service) where you can find all rules & other information regardding how Jellions are run! Only submit Jellion related material to the group. Make sure to submit to the proper folders! If you're having any problems with anyone within the group, please note the group for help. Make sure to pay attention to the Guides! Then you are more then free to change your Jellion into a different species or into a normal lion and leave the group! You have NO obligations to be tied to this species or group what so ever. I THOUGHT THIS MAY BE FUN!!! SO WHY NOT!! You have to draw him!! -Every piece of art will be used and uploaded to toyhou.se even if it wins or not! -the entries will be based on originality and quality not quantity!! -I will not convert the prize to points!! I'm open to convert it to art but NOT points!! + Two Honorary Mentions! You each earn 100 seashells! All Items have been added to all of your Inventories/Balances. Hivrin month long MYO event CLOSEDEdit; MYO event extended till the end of the month! Edit 2: Added two weeks! I'm opening up a MYO event for Hivrins! This will last for an entire week up until the end of March! Examples and species sheet for Hivrins! Reshare this journal in a journal of your own or a status post and post the link below. You do NOT need a reply to confirm your MYO. MYO Teacup cinnadogs!Within the past year, the famous miniature teacup cinnadogs have exploded in popularity. Having been bred vigorously, the cinnadog variation has become more accessible than ever ♥ Welcome to commonality! Teacup cinnas are available for MYOs at $7 (700 points ) , with a rare trait costing $5 (500 points) extra. There are a max of TWO rarities for one teacup cinna, since their bodies are so small. WE ARE ACCEPTING POINTS! The widgets for MYO cinnadogs will always be through cinnabutt's page! All common and rare traits can be found under the "Tails and Traits" drop down menu! 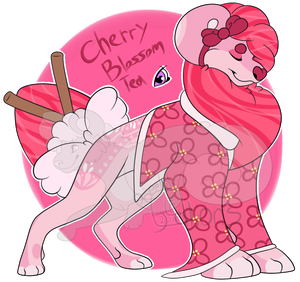 Check here for Teacup examples! DRAWING CONTEST! WIN 2000 PTS. + ART! EDIT5: Fourth place upped to 200! Contest ending tomorrow, get your entries in!! EDIT4: Third place is now 300 and a fourth place has been added! EDIT3: Upped third place to 200 points! EDIT2: Deadline has been updated! How does March 15th sound? Let me know your thoughts! EDIT1: Wow guys, I'm super impressed with all the entries so far!! Keep up the good work<3 This contest is going to be super hard to judge! Hello, hello, yes, I am finally starting this thing ^u^ It's been a really long time since I've done a contest so I'm hoping it will be a lot of fun! 1. Check out :iconartisticanimals: and consider joining us if you enjoy animal arts. 4. Comment below with the link to wherever you spread the word (so the journal, poll, status etc) and any additional steps taken for extra entries. You must do all the steps in order to be entered! I will comment back with your ticket number(s) once completed/accepted. Edit:: Yay, over 800 watchers!! Now there will be two winners drawn! Alright, so, just because I'm excited about getting a fairly good influx of new watchers lately, I've wanted to do a quick little raffle!! ENDED-ART CONTEST win 100$ !I will announce the winners in a saperate journal as soon as I can! I really want some art of my characters so I'm gonna host an art contest! to enter all you have to do is post a comment here so I know how many people are entering! that's all. if you want you can spread this journal around, I'll be very greatful! you don't have to draw all of them, but you can if you want to submit more than one entry! Flatsale slots are $10/1,000 per dog! I also accept bribe customs at all times unless otherwise stated! 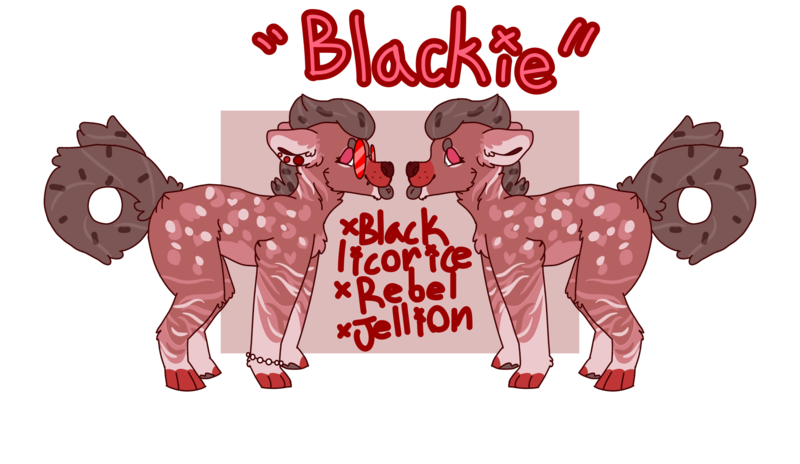 These can be noted or privately messaged via Discord, and can go anywhere from $10~20 per custom.
! IMPORTANT ! If you've claimed a custom in the previous round of customs, you cannot claim a custom slot in the next following opening! WHAT DOES EACH SLOT TYPE STAND FOR? 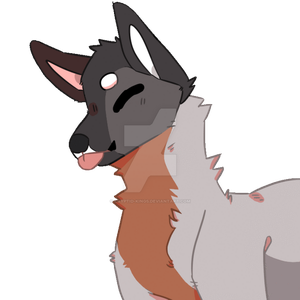 If anyone is interested, I have been thinking about making a discord for the species as well! The species itself isn't new, but the creator got behind the idea of making a group and everything to try to get them out there. We've got A LOT of work to-do before the group becomes openly active to the public and MYO slots are open, but we really want people to get into them and get the species out there. We are still working on the information and stuff, but if you want to see some examples of the species and one of the mascots, just click this link; https://toyhou.se/Decaying--Ghost/characters/folder:58305 These are all the Heart Foxes I own, Jack being one I designed myself. IF you are interested in them, you should drop me a comment and I might do something for free customs once the trait list is in my hands. We shall see, so yeah! FREE REQUESTS [CLOSED!!!] UPDATE 1/18/2019 - I've been really under the weather the past few days and really can't focus on art right now. I'm going to give myself some time to get better! Thank you all for your patience! Please be sure to read EVERYTHING here if you wish to participate!